Soccer - a free kick. Games online. 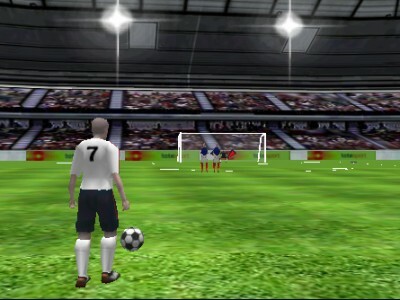 You are the master of the free kicks and are able t overcome any wall of players and score. Focus on the place you want the ball to cross the goal line and shoot! Hope that the goalkeeper won’t be able to save!